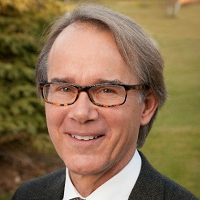 Marvin D. Seppala, MD, is chief medical officer at Hazelden Betty Ford Foundation, and serves as adjunct Assistant Professor at the Hazelden Graduate School of Addiction Studies. His responsibilities include overseeing all interdisciplinary clinical practices, maintaining and improving standards of care, and supporting growth strategies for residential and nonresidential addiction treatment programs and services throughout the country. Seppala attended St. Olaf College in Northfield, Minnesota, and is a graduate of Drake University in Des Moines, Iowa. He obtained his M.D. at Mayo Medical School in Rochester, Minnesota, serving his residency in psychiatry and a fellowship in addiction at University of Minnesota Hospitals in Minneapolis.